Courtesy of Steve Buck, Sager Real Estate. Gorgeous Cape Cod 3 story home situated on 10 acres of hardwood trees! Sit on your deck looking down on Houge Creek as it runs through this property. This home offers main level master suite, 2 spacious upstairs bedrooms, mostly finished walkout basement with a full bathroom, and attached 2 car garage. Included is a Detached 2 bay Garage/Workshop with heat/ac and an upper room with endless possibilities. End of the Road location let’s you enjoy your privacy and wildlife yet is only minutes from Winchester. All Subdivision Roads are paved and maintained.This is a low-restrictive subdivision by comparison, HOA mostly pertains to house type and road maintenance. Please, send me more information on this property: MLS# VAFV144910 – $350,000 – 573 Deer Creek Road, Winchester, VA 22602. 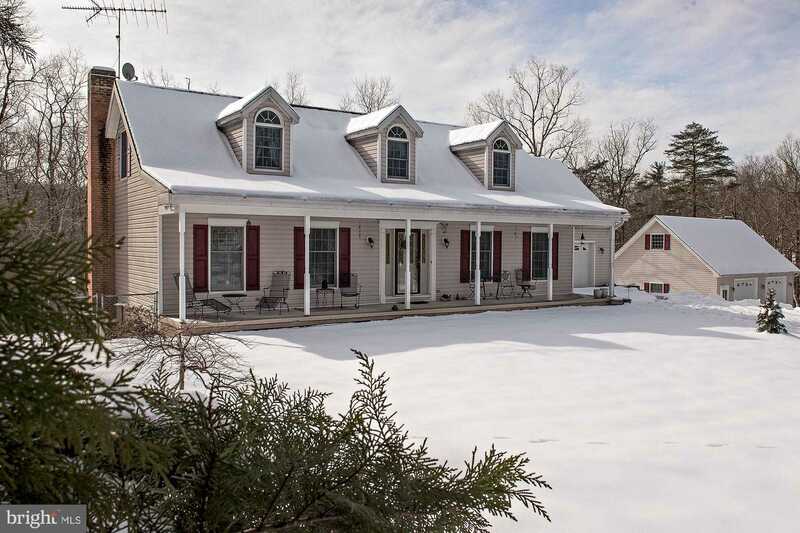 I would like to schedule a private showing for this property: MLS# VAFV144910 – $350,000 – 573 Deer Creek Road, Winchester, VA 22602.